It’s such a concern that in Geneva in January The Minamata Convention on Mercury was approved by 147 governments. 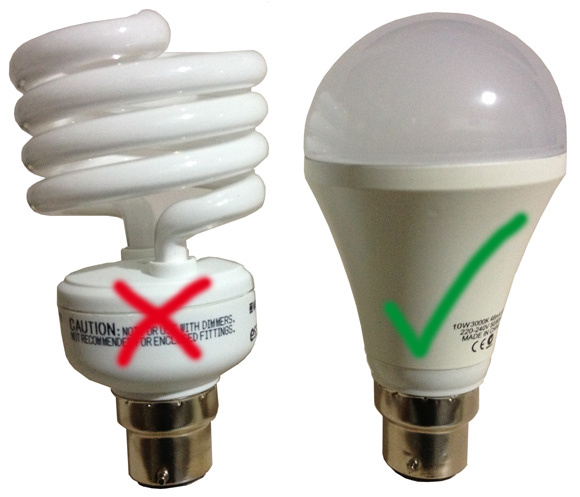 Included is the decision to ban the production, export and import of CFLs containing mercury by 2020. Until recently the LED alternatives – which offer much longer life and no mercury content – have not been adequate for the job, and have been hard to find. But we’ve now tested a new LED 10w bulb that works beautifully, and fits straight into regular bayonet light fittings. We tested it against a traditional 75w incandescent globe, and the 10w bulb provided a brighter, flicker-free light. So please, don’t buy any more CFLs that contain mercury. Instead keep a stock of these LED bulbs and progressively replace your CFLs around the home and office as they fail. Please don’t put used CFLs in the rubbish bin. You can check for local recycling options on the Recycling Near You website. This entry was posted in Environment, World Health and tagged CFLs, compact fluorescent lamps, environment, mercury, Minamata Convention, world health by Brian Loffler. Bookmark the permalink. If only there was more of them around.. I can’t find any LED’s around here nor recycling places. (Im in Proserpine, Qld).